Following The Ritz-Carlton Sanya and Narada Resort and Spa Sanya, the recent announcement of Howard Johnson Sanya Resort being rated a five-star hotel has made it become the third one in Sanya to have the honor this year. 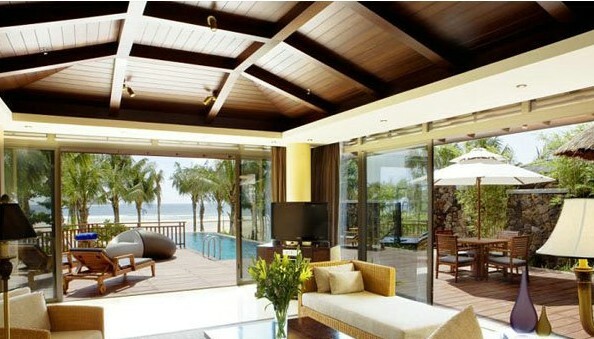 Currently, the number of five-star hotels in Sanya has increased to 12. At present, Sanya has a total of 219 hotels, among which 48 are distinctive, global brands hotels including Marriott, Hilton, Shangri-La, intercontinental, Kempinski, Ritz-Carlton and Sheraton. Tourism authorities said the city is expected to have 20 rated five-star hotels within three years as more hotel brands are expanding their markets in Sanya.